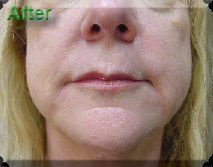 Non-surgical Juvederm & Restylane injectable treatmetns restore skin volume and smoothe away wrinkles and smile lines. Thse products are made from hyaluronic acid, a naturally occurring substance in your skin that helps to rehydrate skin and add volume. 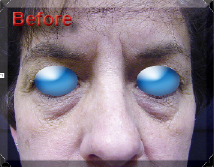 The substance diminishes with age, contributing to the development of wrinkles and folds. 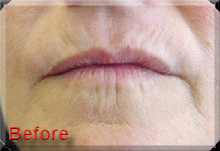 Both Restylane and Juvederm work to correct this aging process, creating smoother, younger looking skin. Using a fine needle, Dr. Moore will inject the product that’s right for you into the dermis (the dense layer of skin beneath the epidermis). The procedure generally takes about 15 minutes. 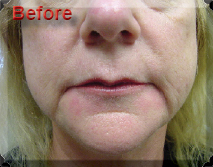 Following injection, Dr. Moore will gently massage the treatment areas. You should see immediate improvement. Results may last up to six months. 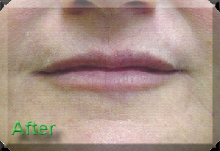 These natural dermal fillers require no skin testing prior to treatment. 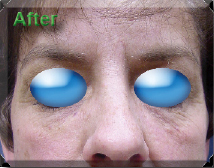 And since the results are not permanent, this treatment allows you, the patient, to take control of your appearance.